From the desk of... R.E. Hargrave: Auctions, Takeovers, & Signings... R.E. Hargrave UPDATE! Auctions, Takeovers, & Signings... R.E. Hargrave UPDATE! 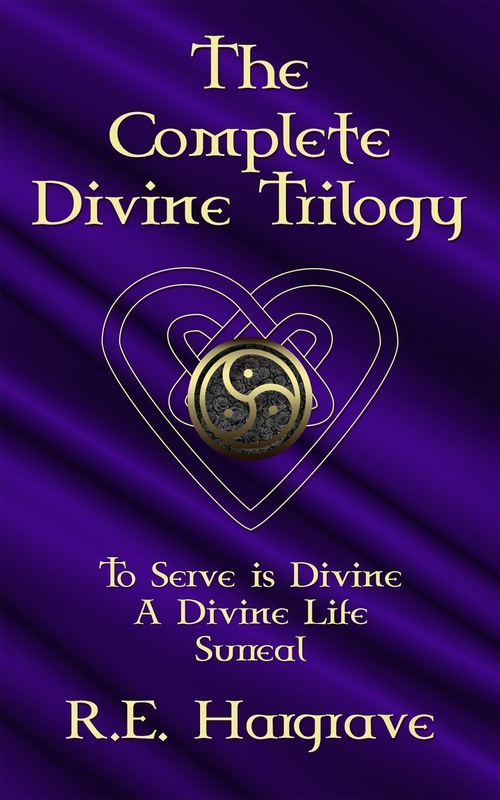 In the devastating wake of Hurricane Harvey, I've donated copies of The Complete Divine Trilogy to two separate auctions which are in place. 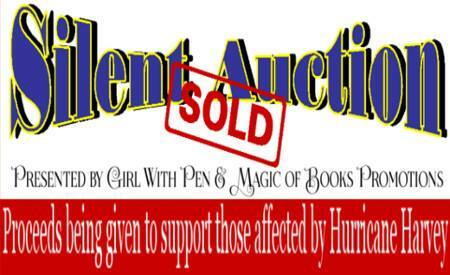 My donation will be just one of many items up for bid, so please consider heading over to check out these auctions. Every little bit goes a long way toward helping the victims of this monstrous storm return to normality. 100% of the proceeds will be going to the Houston Food Bank and Southeast Texas Food Bank to help supply food and meals to shelters and those impacted by Hurricane Harvey. On Tuesday, September 12th, I'll be doing a takeover in the BHBB Reader Cave which is the extension group for the Book Haven Book Blog page. Join me at 12 p.m. CST/ 1 p.m. EST for an hour of games and giveaways! On Thursday, September 21st, you can find me joining in celebrating Autumn Sands' latest release, Impact. Join me HERE 11 a.m. CST/12 p.m. EST for fun and goodies! Wednesday, September 27th, A.R. Vidal will be releasing his next book, Mercy's Playground, during an evening party. 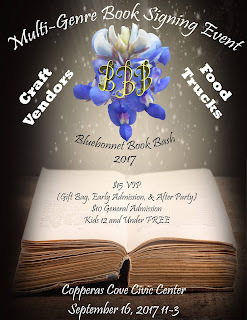 While I'll be unable to actually attend, there will be a drop-in Giveaway post from me, so be sure to swing by and look for it, as well as check out what the other authors have going on! Join me in Copperas Cove, TX on Saturday, September 16 for the Bluebonnet Book Bash! ALL PROCEEDS TO BENEFIT THE CVMA 23-5(Combat Veterans Motorcycle Association) they help the local Veterans hospital as well as other local veteran causes. Multi-Genre Author Signing Event - FUN FOR THE WHOLE FAMILY!